ANAHEIM — The California Republican Party will continue strengthening ties with California’s fastest-growing ethnic group in its third Asian Pacific American Roundtable at the California Republican Party Convention. The roundtable is scheduled for Saturday, Oct. 5, from 10 a.m. to noon at the Hilton Anaheim Hotel, 777 W. Convention Way in Anaheim. 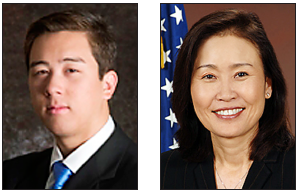 Spurred by the leadership of Board of Equalization Vice Chair Michelle Steel (the nation’s highest-ranking Korean American elected official) and California Republican Party Vice Chair Harmeet Dhillon (first Sikh American and first woman to serve in that post), more than two dozen locally elected APA Republicans will join together with party leaders to discuss ways to keep the party moving forward. Priebus and Brulte have shown their commitment to expanding the party’s reach by hiring a dedicated team to connect Republican leaders with APA communities in California and across the country.